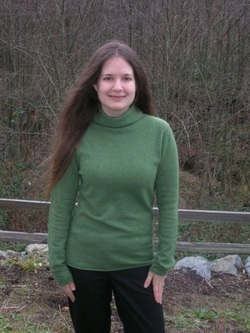 Katie Corcoran is an Assistant Professor at West Virginia University in the Department of Sociology and Anthropology. She received her Ph.D. in Sociology from the University of Washington as well as an MA in Sociology and an MA in International Studies (Comparative Religion). She is a theoretical generalist who studies social groups and networks as links between macro- structures and micro- attitudes and behaviors. Her research applies these lenses to several empirical subfields—organizations, religion, social movements, emotion, inequality, and crime/deviance. She is interested in exploring the processes by which individuals join and leave groups, invest time and resources in them, and come to hold their norms and values. In order to test theoretical predictions, she draws on individual-level, cross- organizational, regional, and national data and uses advanced quantitative as well as qualitative methodologies. She is currently working on several projects: (1) Violent crime, victimization, and discrimination; (2) Civic engagement and collective action; (3) Emotional dynamics in megachurches; and (4) Religious commitment, identity, and group solidarity.